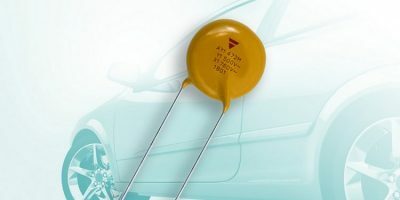 Automotive-grade AC line-rated ceramic disc safety capacitors have been launched by Vishay Intertechnology. They are, says Vishay, the industry’s first such devices to offer AEC-Q200 qualification for Class X1 (760 VAC) / Y1 (500 VAC) applications in accordance with IEC 60384-14.4. The Vishay AY1 series devices are designed for electric (EV), hybrid electric (HEV), and plug-in-electric vehicles (PHEV), where they are optimised for AC line filtering and primary/secondary coupling in on-board chargers and DC/DC converters. The ceramic disc safety capacitors withstand 85/85/1000 h biased humidity testing, 1000 temperature cycles from -55 to +125 degrees C, and 10 10kV pulses per polarity to improve reliability in these applications, says Vishay. AY1 series capacitors feature a capacitance range from 470 to 4700pF, with tolerances of ±20 per cent. 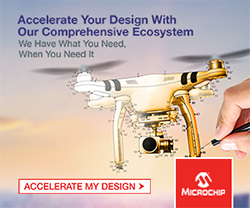 The devices consist of a copper-plated ceramic disc with tinned copper-clad steel connection leads offering 0.6 or 0.8mm diameters. They are available with straight leads with spacing of 10 or 12.5mm. They are RoHS-compliant and halogen-free and have encapsulation made of flame-resistant epoxy resin in accordance with UL 94 V-0. Vishay also announces that its existing AY2 series of automotive grade AC line rated ceramic disc safety capacitors has been extended. 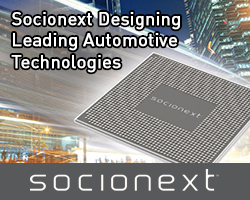 The company has added two new components offering capacitance to 6.8 and 10nF. 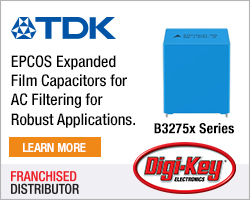 They are believed to be the industry’s first components to offer AEC-Q200 qualification for Class X1 (440 VAC) / Y2 (300 VAC) applications in accordance with IEC 60384-14.4.